The whole Kiso Road runs through mountains. Kiso area offers many activities that can be experienced only in mountains. During summer and fall, people go rafting and canoeing in a rapid stream. In winter, the snowshoeing, the trekking through snow can be experienced. In the deep mountain that is full of over 300-year-old Japanese cypress, try and have a best activity experience. Ski slopes above clouds. As the name implies, Ontake 2240 is located 2,240 meters high on the mountain. In addition to the various courses, the facility also includes deluxe bathhouse. 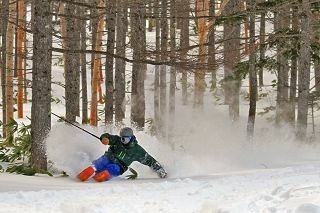 Visitors enjoy skiing or snowboarding to the fullest all day long. The cableway connects the 5th and the 7th station on Mount Ontake. From the sky-high observatory at 2,150-meter elevation, you will see a magnificent panoramic view of Northern and Central Alps. The nature and life in the mountains of Kiso is full of sence and knowledge to live in the countryside. Reusing the abolished wooden school, the Country Experience Center offers you various community-based activities and opportunities to interact with each other. We also have a cafeteria, wooden playroom, gym, Japanese-style room and playground for you to experience the life in Kiso. 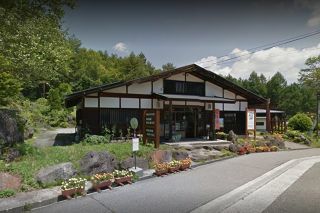 Tourist Information Center located on the Kaida Kogen highland. 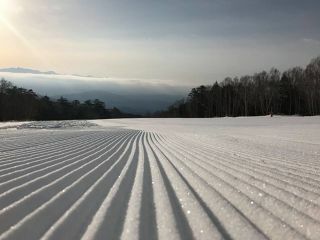 It is right in front of the bus stop "Kisouma-no-sato-iriguchi" on the Kaida Kogen line, so please feel free to stop by before you start your day on the Kaida Kogen highland. 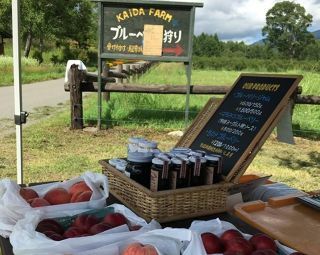 How about a blueberry picking at the best location on Kaida Kogen highland? There are two farms, one near Kisouma-no-sato and the other near the Maruyama Bato Kannon Goddess of Mercy. Yoshimura Farm locates on the Kaida Kogen highland (1,200m elevation). With its climate and fresh air, they grow sweet and tasty blueberries on their farm. 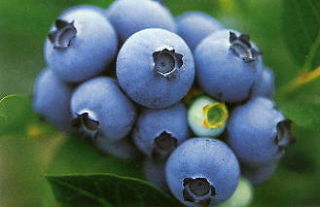 Chemical free, organic blueberries are safe to eat. You can enjoy blueberry and raspberry picking and buy young tree and jam at the farm. In the beautiful nature of Kaida Kogen highland (elevation 1,000-1,500m), we hold a tour to make you healthy physically and mentally by staying and walking/excercizing. Ippongi-tei stands at the best location viewing Mt. Ontake and the Quercus tree right in front. Shop: You can buy various souveniers such as soba related products (fresh soba, soba flour), snacks and pickles using the signature products from Nagano (apples, wasabi). Also you will find white birch craftworks, lacquerwares and horse-related products. Soba Making Experience Center: The local craftsperson will teach you how to make soba and you can also taste the soba you made. Restaurant: They have handmade soba noodles, grilled mountain trout, rice bowls. Yamameso is a mountain trout restaurant that has a fishing pond. It is located on the Kaida Kogen highland at the base of sacred mountain Mt. Ontake. You can grill the fish you caught on the "irori" fireplace or you can also take the fish back home. Trout dishes served at the restaurant are raised with the fresh water of Mt. Ontake. Enjoy the dishes in the great nature of Kaida Kogen highland. 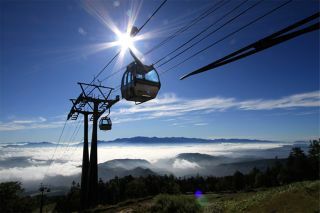 Kaida Plateau MIA Ski Resort is located in the east side of Mount Ontake, at altitudes of 2,120 meters above sea level. Highland climate provides slopes the good quality of powdered snow.